This here is the KinderScares edition of our All Hallow’s Read book suggestions! Most of us have a little person or two in our lives we’d love to share some Halloween fun with, and All Hallow’s Read is the perfect tradition for it. Encourage literacy, get to shop for books, give a gift, and do something for Halloween…what could be better than that?! 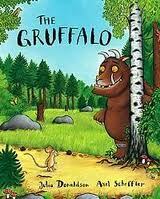 For a baby in your life, The Gruffalo by Julia Donaldson. Mouse outsmarts everyone in the deep dark woods and even shows up the terrifying gruffalo! Hilarious and cute as heck, it’s perfect for the tiniest monster-lovers and available as a board book! For the picture book crowd (‘scary’ picture books are my favourite and I’m kind of hyperventilating having to choose just one! 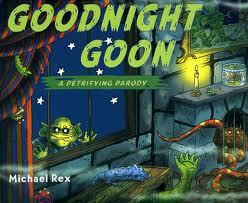 )…Goodnight Goon by Michael Rex. This book is as good as parodies can get. SO GOOD and so hilarious for those of us who have read Goodnight Moon one to0 many thousand times. For younger novel readers (and older ones, it’s versatile! 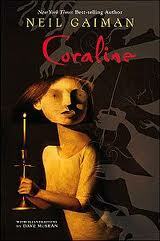 ), Coraline by Neil Gaiman. This is one of my favourite children’s novels! Coraline is the kind of awesome heroine we’d love to see more often in children’s literature – she’s smart, resourceful, honest and courageous, not to mention creative and self-reliant. Combined with a seriously creepy concept and a great story, it’s a winner for sure. 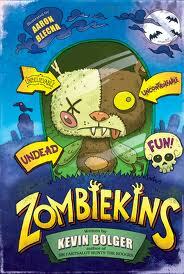 For the middle-grade crowd, Zombiekins by Kevin Bolger. 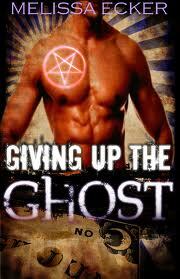 This is a scary book that is also plain old FUN as hell! Zombiekins is the middle-grade equivalent of all your favourite b-grade flicks on paper. 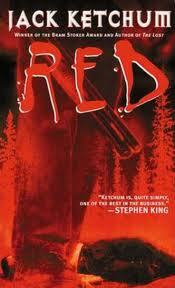 Any kid with a penchant for thrills and big, vivid imagery will get a serious kick out of this book. Hell, the grown-up kids will too! We hit up YA earlier this month, so I’m stopping at middle grade and resisting the urge to add extra titles to each category. But if there’s a kid in your life you’re looking to pick a book for and you’d like advice, don’t hesitate to drop us a line, we love to help! And I’d be thrilled to hear YOUR scary book suggestions for kids in the comments! 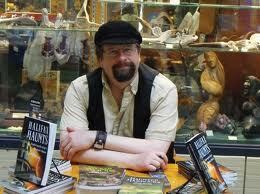 It’s no secret that Jack Ketchum is a huge animal lover. This novel addresses the cruelty of modern society, while tugging on the heart strings of dog lovers everywhere. When group of kids kill a man’s dog during an attempted robbery, he tries to find justice with the help of the law. This proves useless though, so he takes matters into his own hands, exacting revenge in the name of his dear lost friend, Red. A tear jerker, for sure, this one is bound to get your animal lovin’ self all torn up, at the same time as feeding that urge for vengeance we all know is hanging out just under the surface.